Gregg’s Greenlake Cycle is a Seattle cycling institution. The store first opened its doors in 1932 under the direction of R.V. Gregg. Today Gregg’s Cycles remains under the ownership of the third generation of the Gregg family. The business has expanded from its original location at Greenlake to include locations in Bellevue and on Aurora Avenue North. In 1983 Gregg’s Bellevue Cycle was opened to address the growing market in the suburbs of the Eastside. 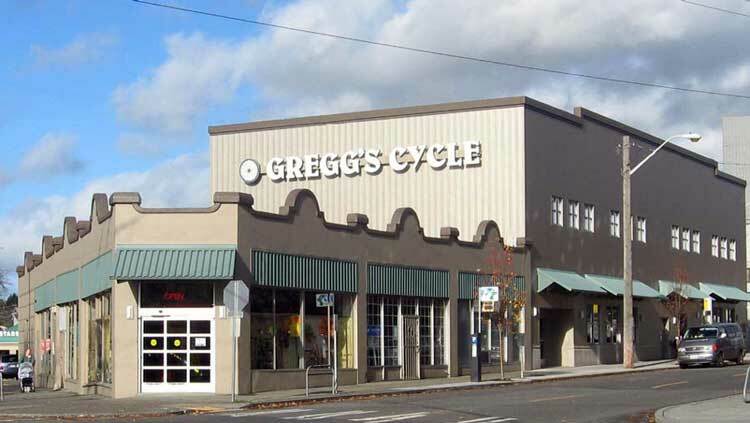 Gregg’s Bellevue Cycle is currently the largest bicycle shop on the Eastside. In 1987 Gregg’s Cycles purchased Aurora Cycle which was established by the McAllister family in 1937. Early in 2007 we closed the doors on Aurora and expanded into Lynnwood. Gregg’s Alderwood Cycle opened its doors on February 6th of 2007 and starts a new chapter in a history that spans more than 80 years. Gregg’s commitment to the cycling industry starts at the very top. Stan Gregg is a life-long resident of the Seattle area. Stan’s commitment to customer service and quality products is influenced by his own love of cycling. Stan has been competing since 1986 and has 16 national and 10 world medals. Among the Gregg’s staff you’ll find enthusiasts with a great passion for the outdoors and the products we carry. If you need information on the latest cycling technology, directions to the toughest or most scenic trails, tips on dressing for the weather, or ratings of the best bakeries for your next ride, the staff at Gregg’s is ready with concerned, involved expert advice. Not only does Gregg have something for just about everyone in the cycling world, they are knowledgable and passionate about all that is cycling. We have picked up some great tips from the staff overtime we go into to buy some gear, fuel or whatever. The ride never ends!